Welcome to the GHMS Library! Use the links on the sidebar to navigate the site. This library exists for YOU! I believe that our books provide a safe way for you to explore the world without having to particpate in it. If you have questions, I am always here for you and if you just want to chat about books, I’m all yours! 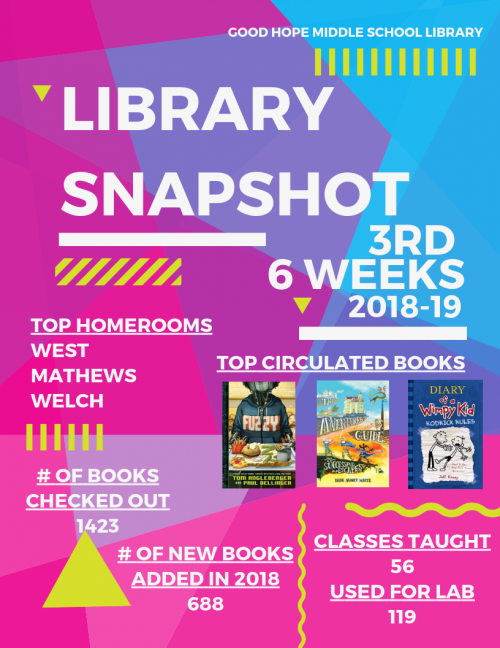 Check out this six week’s most checked out books!